Isn’t this a fun card? I really love the colors and patterns in this new Floral District designer paper. 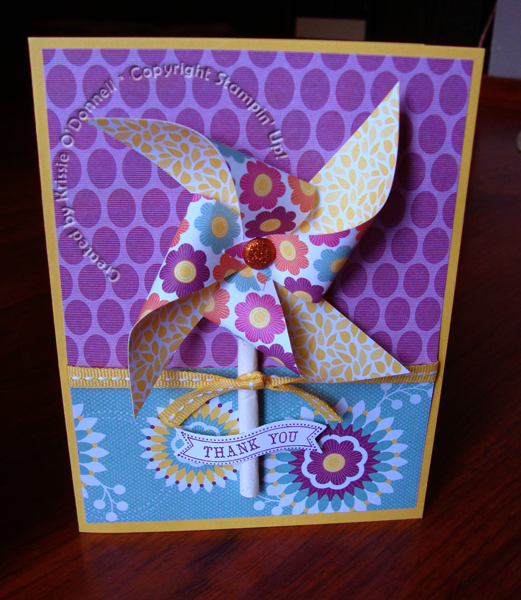 I made a cute pinwheel for the front and tied it together with a Pumpkin Pie glimmer brad. The sentiment is from the new set Itty Bitty Banners and framelits to match called bitty banners.